Discover a fantastic underwater world in Doggy Dive! Get into the water and dive as deep as you can. Collect air bubbles and coins and avoid dangers like poisonous jellyfish, blowfish and sharks. Prove your skills and reach a high score! 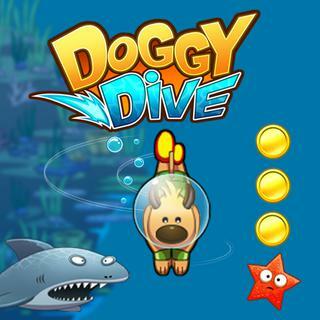 Doggy Dive - Find Doggy Dive in our vast HTML5 games catalogue. Only the best and newest HTML5 games for all audiences. Guaranteed success with Famobi.